Microsoft Word is all about productivity. 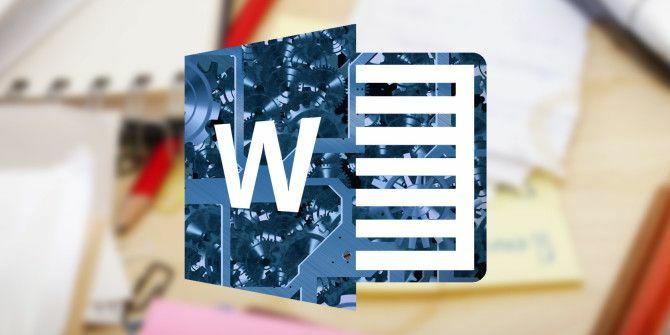 Every feature is designed to make your life easier 10 Hidden Features of Microsoft Word That Will Make Your Life Easier 10 Hidden Features of Microsoft Word That Will Make Your Life Easier Microsoft Word is deceptively simple. You are fine as long as you fire up a document and just type. But Microsoft Word wouldn't be the Swiss knife it is without its productive features. Read More . But in our search for the biggest effort savers, let’s not forget about the little helpers that save us a lot of time too. Here are three useful ways to select text in Microsoft Word you should use more often. You can place your cursor at the start of the sentence line, and press the combination of the Shift + down arrow keys. But this method is slower than the one where you use the combination of the mouse and keyboard. Normally, you’d place your cursor at the beginning of the text block, press the left mouse button, and drag across the page till you select the text block. Maneuvering the keyboard buttons and the mouse can get tiring. Use the “hidden” Select Mode in Microsoft Word to boost your text selection precision. The Quicker Method: Press F8 to activate the “Select Mode” in Word. Now, you can also select the word, sentence, paragraph, and section by pressing F8 repeatedly. To deselect, press Shift and F8 and Word does it in the opposite order. Explore more about: Keyboard Shortcuts, Microsoft Office 2016, Microsoft Word.